Human model of a tough guy. 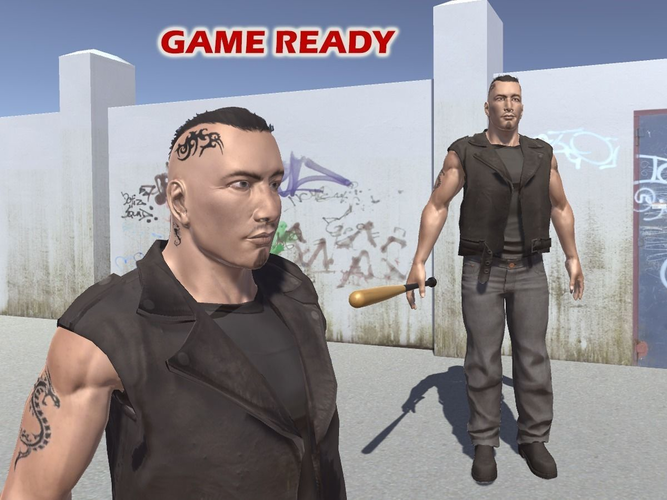 Originally created for Unity3D with the posibility of playing with the character in the scene with mecanim controller. There are also other formats included like FBX, MAX and OBJ to be used in other applications. There is also a model of a bat and a simple scenario for Unity included.Character designed as a playable man for first person and third person games.